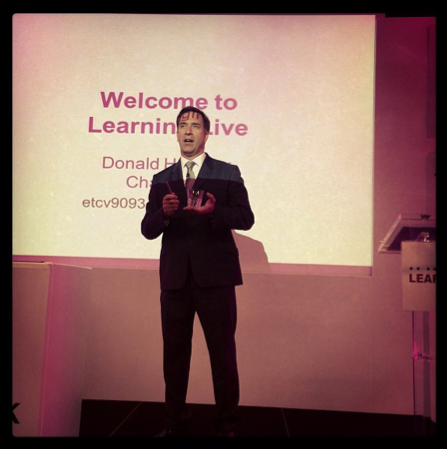 LPI chairman Donald Taylor kicked off the Learning Live conference 2013 by telling delegates that the L&D industry needed to work on its marketing and communications skills so that it could talk the language of business and be an influencer on the business. This year’s conference was split into four tracks – collaborative workplace learning, performance improvement, the real world and our future – and two workshop streams. These streams were chaired by senior figures in the industry, Jane Hart, Neil Gray, Neil Lasher, Claire Line, Denise Hudson-Lawson, James McLuckie and Alan Bellinger and for the first time the event organisers accepted speaker submissions. The result was an agenda with a wider perspective than the usual case-study driven approach seen at most L&D conferences. We attended a range of sessions which we will look at in this review. Shaw started by renaming his session from ‘Increasing Learning Effectiveness Through Togetherness’ to ‘Working better together’ and then proceeded to tell of his personal experience – and that with clients – of how collaboration can work. His thesis was that we need to be far more human in our approach to working with each other and that we need to accept the messiness that comes with shifting towards a more collaborative process. Shaw shared some worrying statistics that showed how limited we become at divergent thinking – shifting from being very good at it in kindergarten to having had it almost knocked out of us by the time we reach the workplace. How do you balance the need for an outcome with how you get there. How do you generate opportunities to do things together that are less directive and more collaborative? Murphy and Quigley started their session by using story dice to get people on the tables talking. It was a great start and by rolling the image of a tunnel (you had to tell a story related to the image you rolled) I learned that my neighbour at the table, Craig Taylor, had been on an ammunition train in Bosnia that had derailed in a tunnel. The things you find out . . .
We then heard – and discussed – what makes a good story, from looking for emotion beyond the facts to using humour and the importance of provoking an emotional response such as funny, sad, angry etc. Murphy used David Hutchens storytelling matrix as a tool for developing stories, which looked useful and urged delegates to use story telling as an approach in learning as it can fit anywhere. Quigley then went on to show some of her work with clients. First up she clarified the difference between a story and a narrative: a story is about an event, narrative is made up of a lot of different stories and the could be conflicting. She showed examples of how she used video in learning programmes. It was powerful. By designing in stories that were generated by those taking part in the training, they connected on an emotional level. The videos were not necessarily high budget, they worked because the stories connected with their target audience. Whether you pay for actors and a professional film production crew depends on your budget, Quigley said, but she made the point that using real people can be just as effective and a lot cheaper and more engaging. She also urged delegates to design once and use content many times – think about how stories can be used in different contexts. Listen to your colleagues – fine tune your filter. Find the right storyteller – is there wisdom to share? 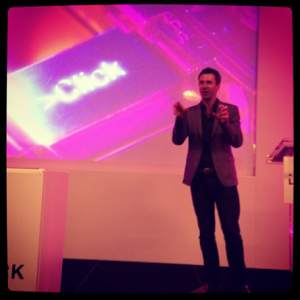 Day two of the conference started with a keynote from Spencer Kelly, presenter of the BBC TV programme BBC Click. Kelly showed delegates what he got up to in his day job – mostly traveling the world looking at technology and trying to look beyond the hype to see if emerging technologies will become mainstream. Interestingly, Kelly said the ‘coolest innovation’ happens in the developing world where technology is stitched together and innovation is forged out of necessity. He showed an example of a village four hours outside of Delhi in India where the villagers had hacked an LED display with a SIM card so that the kids who traveled away to Delhi to work could text back messages to their families. The LED display was rigged up in a tree in the centre of the village. He then compared this with the tech of Japan and south Korea where tech is huge and people just want to try things out. Cashless transactions have been in place in Japan for years, for example. He showed a robot suit for older people which put sensors on your skin to detect impulses so you can move if you cannot physically do it yourself. Kelly then had a look at some technologies. He showed lots of examples of augmented reality applications. Although people say augmented reality is a solution looking for a problem he thinks it is around the corner and could be really useful. 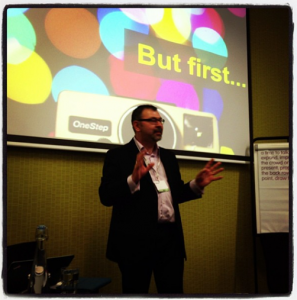 The Aurasma app looked useful – you point camera at a wall and use an image that can be pinned to that space. Others with app can see what you have pinned. He talked through the flipped classroom approach of the Khan Academy, which is aimed at students who watch the lectures outside of the classroom and then discuss them when they get to class. It also gamifies the experience by rewarding students for doing certain tasks. Teachers also have access to a learning data tool so teachers can pair top students with the ones who are falling behind. He said it is still early days for Khan Academy and it is working for schools, but some teachers and students do not like it. Particularly important for organisations is that in taking this approach you do not have to create the content, just curate it. Kelly urged delegates to use game thinking to make experiences more rewarding. This is about reward not just games, he said. There then followed a look at avatars and how virtual humans are looking, well more human. Added to telepresence technology and he said that organisations could expect to have meetings with virtual attendees in the room. This is happening now. He cautioned about how the music industry spectacularly failed to adapt to the mp3 and made the point that this is not about the technology but the points at which you need the learning and how you can use technology to deliver that. For all the new tech he talked about, this seemed to be a very telling statement. Session chairman Neil Lasher made a throw-away comment at the end of Ferguson’s talk along the lines of ‘All the serious L&D professionals are in this room’. The room wasn’t full which said something about how L&D perceives the issue of data. Had they been in the room they would have heard a very accessible talk by Owen Ferguson who started off by talking about the efforts of Archie Cochrane in the 1970s. He waged a war on the medical profession because he wanted to see evidence of success. He basically introduced the concept of evidence based medicine. Ferguson said L&D can learn from medicine because small improvements had made significant impact on the health of the general population. Could we benefit from testing our assumptions Owen asked. He put big data into context. By using the 2013 Gartner hype cycle for technology he showed that we are three to five years away from big data becoming a norm. ‘It is in the post so we have to prepare for it now,’ he said. Ferguson then outlined an approach to getting up to speed with how best to use data that already exists in organisations. 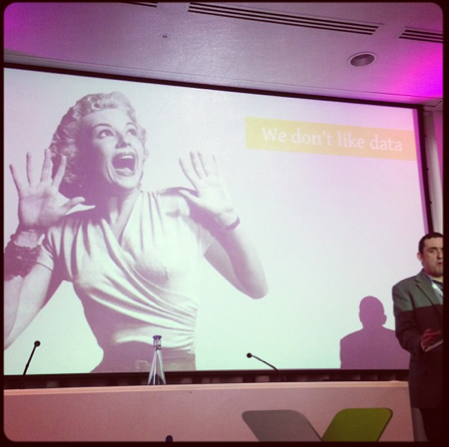 And remember, he said, an Excel spreadsheet can provide one million rows and 17,000 columns – that’s 17 billion data points – enough to be going on with for many organisations! What do you want to find out? And what’s the outcome? Work out how data sets will work together. Identify each individual – employee number for example. Then look for patterns in the data. A basic statistical knowledge goes a long way. Can you answer your questions or do you need to add new data? Experience API can help fill gaps in your data sets. Ferguson then showed an interview with economist Tim Harford, who said that a lot of professions do not like data. Doctors grappled with this for years, so L&D is not alone. The best kind of data is a randomised trial, he said. By trialling programmes, organisations can see what impact they might or might not have. Owen said the barrier to doing this is that L&D feels it cannot deny people the perceived benefit of going on a programme and that there is a pressure to give development to everyone. But this is the way to go and you have to have a hypothesis, test it and look at the result and then fine tune. Niall Gavin of First Group said that currently the hypothesis in L&D is the course outcome. Ferguson said these types of trials always throw up useful insights. It is the only way you can truly measure observational data. We all feel paralysis of not knowing. Struggling with not knowing. I will help you extend your capacity for uncertainty, said Neil Denny. Denny looked at the myth of knowing – we are never more wrong than when we know are right and why this is a problem, for example when we are so confident we are right we are deaf to ideas. As experts we have a choice when a new thing turns up, he said. We debunk it or we say we do not know about it. Admitting to not knowing means you are less knowledgeable and expert. It is a threat. This is why there is systemic conservatism in organisations, he said. Leaders tend to debunk to keep authority. 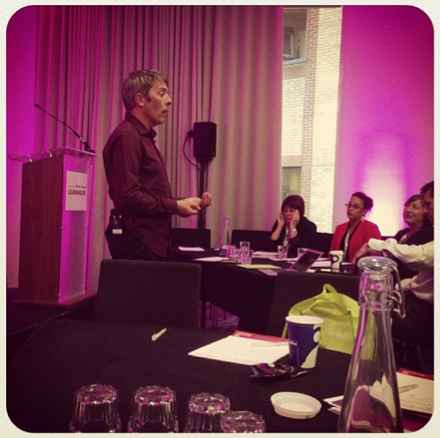 He then talked about why L&D needs to embrace uncertainty. Change means loss and it is being able to adapt to that loss which is key for organisations. But as systems organisations find it hard to cope with uncertainty. So they cope and the status quo remains. That means organisations do not adapt. And we know where that leads them . . . Leaders need to be bolder and braver says and L&D needs to have strategies for surviving are ‘at the edge’ because that’s where all the interesting stuff happens. People do not resist change they resist the loss within it, so work out how you are going to deal with that loss and move on. Talk about end with a bang. In many ways the sessions we attended were about change, vulnerability and how to cope with that. This session was an example of all of that coming together. No hiding behind course provision, no budget, no L&D team to speak of in fact. That’s what happened for Andrew Jacobs at Lambeth Council and this is the journey he shared – going from budget to no budget, team to hardly any team. We are lucky enough to have interviewed Jacobs about his work, which you can see here, so we won’t go over that ground. What is interesting is that faced with nothing you have to be creative and innovate. Much of what Doug Shaw and Neil Denny talked about. Indeed, as Kelly said in his keynote, you provide the right tech at the point of need. This is what Jacobs talked about. I’d highlight the fact he turned the training currency on its head – from budget to time. So, with a 2.5% average training spend per head he provided 2.5% of a 35-hour week in training time. So all employees get 52 mins a week and training design is based around that i.e. chunked up in 52, 26, 13, 7 min chunks. Since April there have been no courses and it is working. So far, out of the 2,800 staff, 6-800 staff enrol on something new every month. Peer to peer learning is central to the approach and so is empowerment of individuals and managers to support learning. Jacobs was pushed into the unknown and had to work it out – an inspiring story of how L&D can be reimagined. We crowd sourced a reading list from the event which you can see on the #learninglivebooks hashtag. 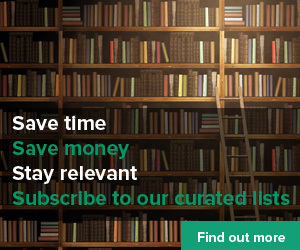 See Dave Kelly’s curated resources for other coverage and presentations from the event.